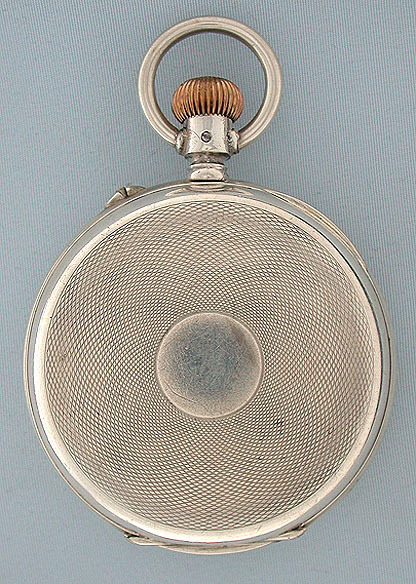 IWC silver digital antique pocket watch circa 1880. 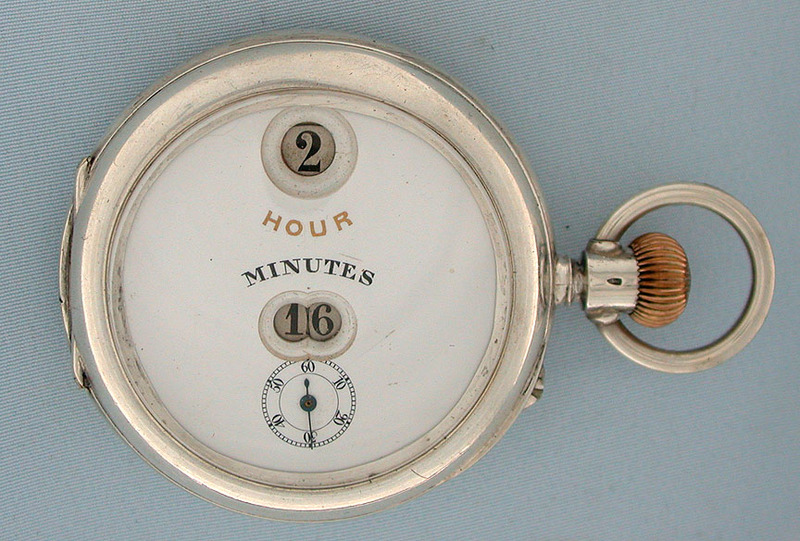 The enamel dial with apertured for the hours and minutes and with running seconds below. 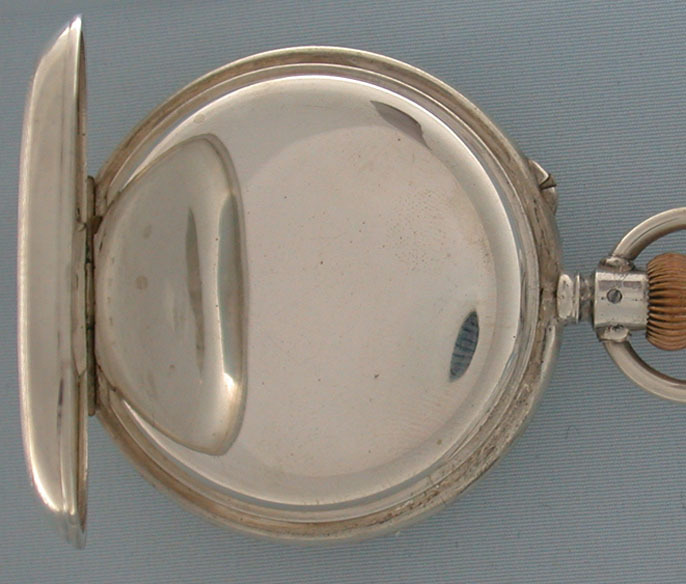 Engine turned 900 silver case. 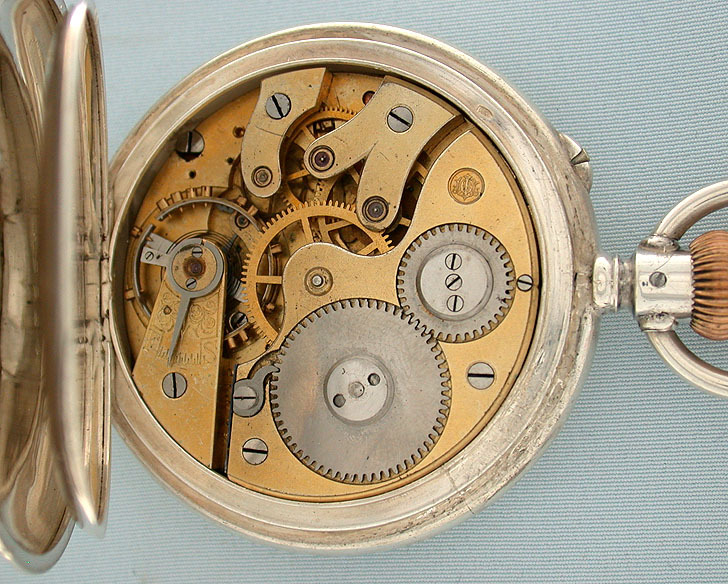 Gilt 15 jewel Palwebber calirbe movement with slight scratches.